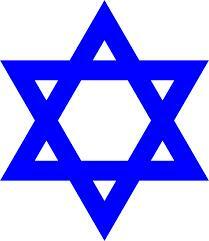 There is a growing belief among conservative Christians that advanced spiritual light can be learned from the Jews. They believe in order to be holy and acceptable unto Yahuwah one must become as Hebrew as possible. This is a deception of Satan intended to divert our attention from the all-important issues at stake in the closing days of earth’s history. Scripture records, “Thus saith Yahuwah of hosts . . . he that toucheth you, toucheth the apple of His eye” (Zechariah 2:8). Based on this and similar texts many believe that if you become as Jewish as possible in life, dress, and practice, they will please Yahuwah. Unfortunately much of what they adopt are man-made traditions of the Pharisees. Those who turn to Jewish traditions to augment their spiritual lives in actuality are turning to Pharisaism. Jewish scholars admit the fact that modern Judaism is Pharisaism. The Savior’s most cutting rebukes were directed at the Pharisees. He called them “blind guides” (Matthew 23:16), “fools and hypocrites” (Matthew 23:17), “serpents” (Matthew 23:33), and “a generation of vipers” (Matthew 23:33). 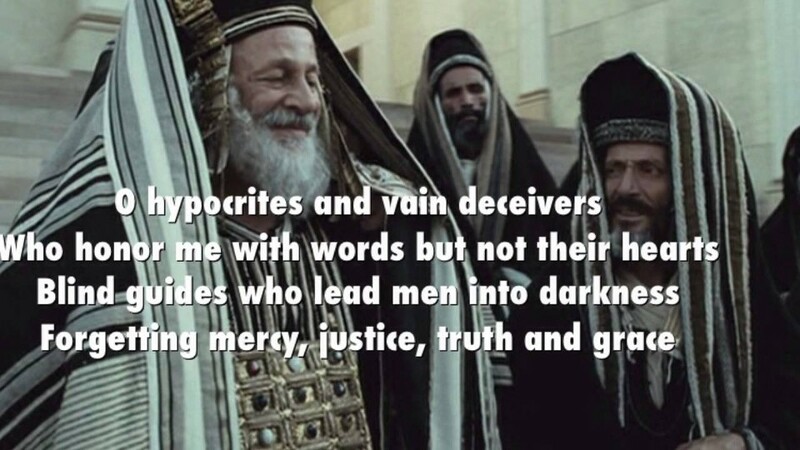 Calling out the Pharisees’ apostasy Yahushua likened them to “whited sepulchres, which indeed appear beautiful outward, but are within full of dead men’s bones, and of all uncleanness” (Matthew 23:27). Many sincere Christians today believe that the Jews are still Yahuwah’s special people, because the Jews say they are. However, modern Judaism has no more saving merit than its ancient Pharisaic counterpart. Please see our study on Daniel 9:24-27, by clicking on the shaded area, where Elohim gave His final ultimatum to the Jewish nation. Those who look to the Jews for confirmation of light are taking man-made traditions and exalting them to the level of the Divine commands. Yahushua clearly warned of the end result for all who turned to Pharisaic traditions as truth. ”But woe to you, scribes, and Pharisees, hypocrites! For you shut up the kingdom of heaven against men, for you neither go in yourselves, nor do you allow those who are entering to go in. Woe to you, scribes, and Pharisees, hypocrites! For you devour widows’ houses, and for a pretense make long prayers. Therefore you will receive the greater condemnation. Woe to you scribes, Pharisees, hypocrites! For you travel land and sea to win one proselyte [convert], and when he is won, you make him twice as much a son of hell as yourselves” (Matthew 23:13-15). Modern Judaism which is nothing more than ancient Pharisaism consists of thousands of man-made laws and traditions contained in the 36 volumes of the Talmud. Yahuwah says He hates these traditions which obscure the truth and beauty of His commandments, feasts and Sabbaths. "O house of Israel . . . I hate, I despise your feast days, and I do not savor your sacrd assemblies. Though you offer Me burnt offerings and your grain offerings, I will not accept them. Nor will I regard your fattened peace offerings . . . You also carried your tabernacle of Moloch and Chiun, your idols, the star of your gods, which you made for yourselves" (Amos 5:1, 22-23, 26, emphasis added). To read our study, The Six-Pointed Star, click on the shaded area. Israel’s manner of observance of Elohim’s commandments, statutes and observances had become so corrupted by man-made rules and traditions, even employing pagan practices, that they destroyed the spiritual essence of Yahuwah’s sacred feasts. In their attempt to perfectly keep the divine law the Pharisees added a host of additional rules and requirements and taught that implementing these would keep one free from sin. In words wrought with significance Yahushua denounced these added works of the Pharisees. “For they bind heavy burdens, hard to bear, and lay them on men’s shoulders; but they themselves will not move them with one of their fingers” (Matthew 23:4). These sincere people who are looking to the Jews do not know the practices they are adopting are founded upon man-made rules and traditions. They think they are rejecting the bad and going back to the Hebrew roots, but the roots do not extend beyond Babylon. Even in the early days of Christianity there was a tendency among Jewish believers to place a high value on the beliefs, practices and traditions of the conservative class known as the Pharisees. To those who were drawn to these human traditions, Paul wrote: “For there are many insubordinate, both idle talkers and deceivers, especially those of the circumcision, whose mouths must be stopped, who subvert whole households, teachings things which they ought not, for the sake of dishonest gain . . . Therefore rebuke them sharply, that they may be sound in the faith, not giving heed to Jewish fables and commandments of men who turn from the truth . . . to those who are defiled and unbelieving nothing is pure; even their mind and conscience are defiled. They profess to know Elohim but in works they deny Him, being abominable, disobedient and disqualified for every good work” (Titus 1:10-11, 13-16). This is a warning to those who look to the Jews as the repository of divine wisdom. By making the Jews the final authority on spiritual matters believers are led to reject the same truths the Jews have rejected. A prime example is the true Sabbath. Under heavy Roman persecution following the Council of Nicea in the fourth century AD, the Jews set aside the Biblical Sabbath when Hillel II, the last president of the Jewish council, set aside the original calendar given to Moses at the time of the Passover in Egypt. Today, Jews keep the seventh day of the Gregorian calendar, Saturday, as if it were Yahuwah’s true Sabbath Day. As a result, millions of sincere Christians assume Saturday is the Biblical Sabbath for no other reason that it is the day observed by the Jews. They believe the Jews would never worship on anything but the true Sabbath. See our study Biblical Calendar: Outlawed, by clicking on the shaded area. Thus the truth is rejected because people believe the Jews have light simply because they are Jewish. Scripture however, presents a very different point of view. Not the Jews of ancient times, not the Jews of Messiah’s time, not the Jews of today keep correctly the divine law in the manner Yahuwah intended. “Yahuwah testified against Israel and against Judah, by all of His prophets, and by all the seers, saying, Turn from your evil ways, and keep My commandments and My statutes, according to all the law which I commanded your fathers, and which I sent unto you by My servants the prophets. Notwithstanding they would not hear, but would stiffen their necks, like the necks of their fathers, who did not believe in Yahuwah their Elohim. And they rejected His statutes and His covenant that He had made with their fathers, and His testimonies which He had testified against them . . . So they left all the commandments of Yahuwah their Elohim, made for themselves molten images, even two calves, and made a grove, and worshipped all the host of heaven, and served Baal” (2 Kings 17:13-16). Man-made traditions do not purify the soul. They merely serve to allow people to feel superior to those who do not hold to the same beliefs. The Creator’s commands are simple and straightforward. “The law of Yahuwah is perfect, converting the soul: the testimony is sure, making wise the simple. The statutes of Yahuwah are right, rejoicing the heart: the commandment of Yahuwah is pure, enlightening the eyes” (Psalm 19:7-8). Man-made rules and earthly traditions over-complicate the divine law adding confusion and false-assurance. Two examples of this are “A Jew should and must make a false oath when the Goyim [Gentiles] asks if our books contain anything against them” (Szaaloth-The Book of Jore-Dia 17). “It is more wicked to question the words of the rabbis than those of the Torah” (Michna Sanhedryn 11:3). If anyone reading this has read from the Talmud you know what it has to say about Yahushua and those who believe in Him. The Jews are always complaining about those who are anti-Semitic when they are anti-Christian. It was the Jews that killed many of the early converts to Christianity when it was in their power to do so. Yahushua warned His followers about what the Jews would do to them, “They shall put you out of the synagogues: yea, the time cometh, that whosoever killeth you will think that he doeth Elohim service. And these things will they do unto you. Because they have not known the Father, nor Me” (John 16:2-3). Paul feared that new believers would turn to traditions, setting aside the simplicity of truth. “But I fear, lest somehow, as the serpent deceived Eve by his craftiness, so your minds may be corrupted from the simplicity that is in Yahushua” (2 Corinthians 11:3). Yahushua swept aside all the traditions of the Pharisees and clarified the comprehensive, yet the selfless nature of the divine law. “Then one of them, a lawyer, asked Him a question, testing Him, and saying, ‘Teacher which is the great commandment in the law?’ Yahushua said to him, ‘You shall love Yahuwah your Elohim with all your heart, with all your soul, and with all your mind. This is the first and great commandment.’ And the second is like it: ‘You shall love your neighbor as yourself.’ On these two commandments hang all the Law and the Prophets” (Matthew 22:35-40). Those who turn to the unBiblical traditions found in Judaism point to all the promises made to Israel, forgetting that promises were always given on condition of Israel’s obedience. Israel rejected Yahuwah when they demanded a king. “And Yahuwah said to Samuel, ‘Harken unto the voice of the people in all that they say unto thee: for they have not rejected you, but they have rejected Me that I should not reign over them’” (1 Samuel 8:7). Yahuwah bore long with them even after their rejection of Him, but divine love will not remain where it is not wanted; though it may linger long, divine love will sorrowfully bow to the wishes of the obdurate heart. A few days before Yahushua’s death, He mourned with a breaking heart, “O Jerusalem, Jerusalem, thou that killest the prophets, and stonest them which are sent unto thee, how often would I have gathered thy children together, even as a hen gathereth her chickens under her wings, and you would not! Behold, your house is left unto you desolate. For I say unto you, You shall not see Me henceforth, till you shall say, Blessed is He that cometh in the name of Yahuwah” (Mathew 23:37-39). Paul’s warning to Judaizers nearly two thousand years ago is just as relevant today. Tragically, many Christians who seek to become Jewish begin to replace their vocabulary and even their names with Hebrew words often to the point that it is hard for others to understand them or be edified by their testimonies or their prayers. There is nothing inherently wrong with learning Hebrew. To do so can be a great blessing and deepens one’s understanding of Scripture. However, it is when a person uses it in a lofty or vain fashion, not honoring Yahuwah or blessing others, then the spirit of Pharisaism comes forth. Many sincere believers today come under the deception of Christian Zionism. An alarming number of them are being moved to send money to rebuild the Temple of Jerusalem not realizing the 70-week prophecy in Daniel 9:24 was fulfilled in the year A.D. 34. Choosing to build a new earthly temple for sacrifices and oblations would be an utter abomination against the word of Yahuwah as in doing so engenders contempt toward this most important prophecy. The unBiblical traditions of Judaism trying to supplant the divine inspiration of heaven. When Yahushua was crucified "He shall cause the sacrifice and the oblation to cease" (Daniel 9:27). “Then the scribes and Pharisees who were from Jerusalem came to Yahushua saying ‘Why do Your disciples transgress the traditions of the elders?’ . . . He answered said unto them, ‘Why do you also transgress the commandment of Yahuwah because of your tradition? . . . You have made the commandment of Yahuwah of no effect by your tradition. Hypocrites, well did Isaiah prophesy about you, saying: These people draw near to Me with their mouth, and honor Me with their lips, but their heart is far from Me. And in vain they worship Me, teaching for doctrines the commandments of men’” (Matthew 15:1-9). Modern Jews, as the ancient Pharisees, are not the ultimate authority on that which is pleasing to Yahuwah. Most are secular in mindset and do not rely on the law of the Spirit of life of Messiah Yahushua (Romans 8:1-4) for their own salvation (2 Thessalonians 2:13). The promises that were available for the children of ancient Israel are available to spiritual Israel (Romans 2:28-29) today. “For you are all the children of Yahuwah by faith in Messiah Yahushua. For as many of you as have been baptized into Messiah have put on Messiah. There is neither Jew nor Greek, there is neither bond nor free, there is neither male nor female: for you are all one in Messiah Yahushua. And if you be Messiah’s, then are you Abraham’s seed, and heirs according to the promise” (Galatians 3:26-29). Yahuwah invites those laboring under heavy pharisaical burdens to return to Him, and He will give them peace. “Come unto Me, all you that labor and are heavy laden, and I will give you rest. Take My yoke upon, and learn of Me; for I am meek and lowly in heart: and you shall find rest unto your souls. For My yoke is easy, and My burden light” (Matthew 11:28-30). He never indicated that we are to learn from the Jews. Salvation is an amazing gift of divine grace, won for us by incredible suffering of which mankind will always owe a debt of gratitude. The Father for the first time since He begot His Son separated Himself from His only begotten Son and the heart of His Son was crushed under the agonizing pain. Those who honor their Redeemer are inclined to honor Him in the beauty of holiness, unobstructed by nonBiblical doctrine or dogma. “Here is the patience of the saints: here are they that keep the commandments of Elohim, and the faith of Yahushua” (Revelation 14:12).